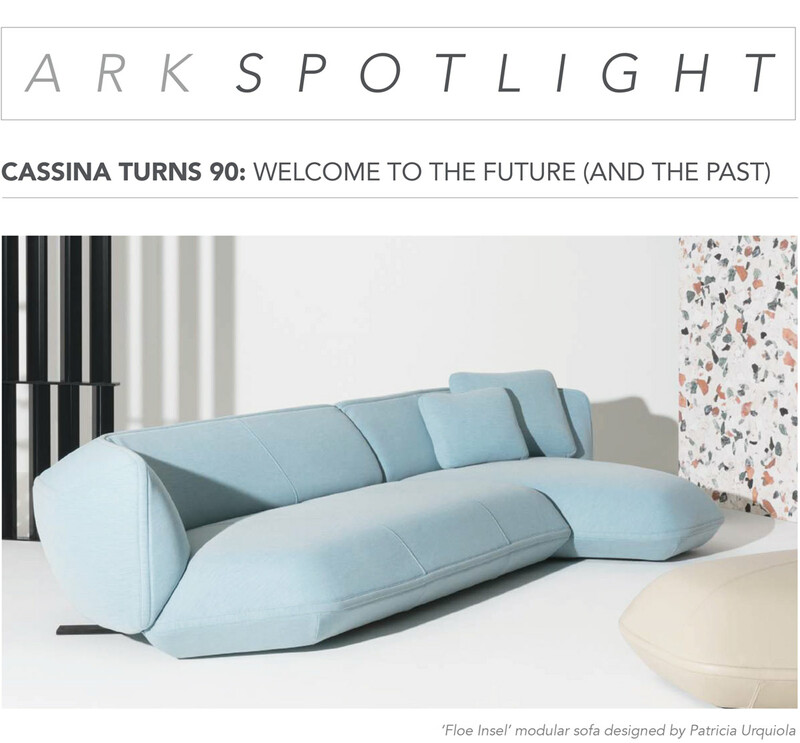 In its 90-year history, Cassina has affirmed the instinct of its founders to join the recent past with the future through furniture that responds to the present, while at the same time fueling the collective imagination. During last week’s Salone Del Mobile, Cassina showcase several new products by some of the world’s most dynamic and respected designers like Mario Bellini, Konstantin Grcic, Ronan and Erwan Bouroullec, Piero Lissoni, and so many more. Since Patricia Urquiola took the helm as creative director last year, some amazing things are taking place. Such as the ‘Floe Insel’ sofa, designed by the master herself which was inspired by icebergs, whose sculptural, monolithic bulk floats weightlessly on water. 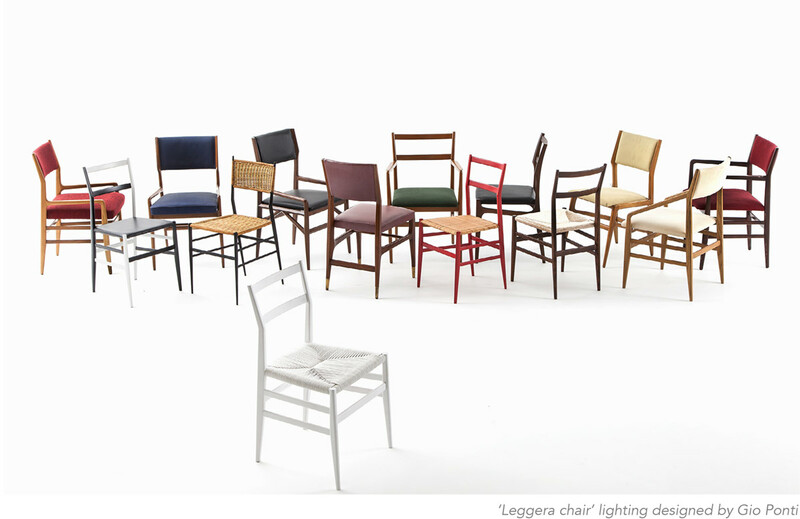 Sixty years ago the iconic Superleggera chair by Gio Ponti and Cassina was born. A milestone, the perfect result of solidity and balance, according to the architect, one of his three masterpieces (along with the Pirelli Tower in Milan and the Concattedrale in Taranto). 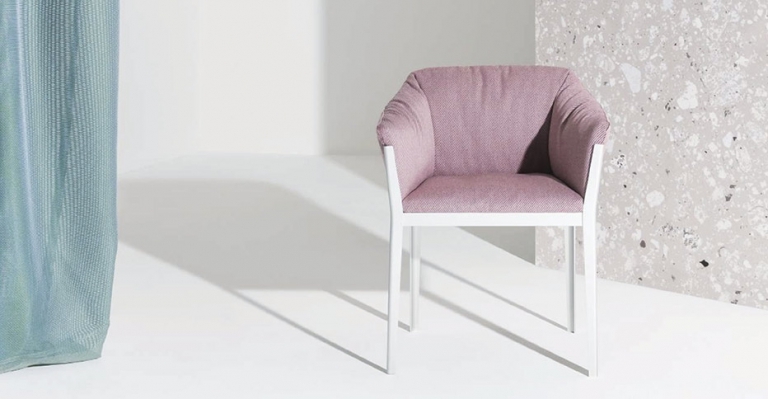 This year, Cassina has reintroduced this masterpiece as ‘Leggera’. This classic wooden chair for all occasions is made entirely of solid ash at the Cassina carpentry workshop with the project development that best highlights the company’s craftsmanship and industrial skills. Since technology has evolved so much since the 1950s, Leggera is now available at a more appealing pricepoint. 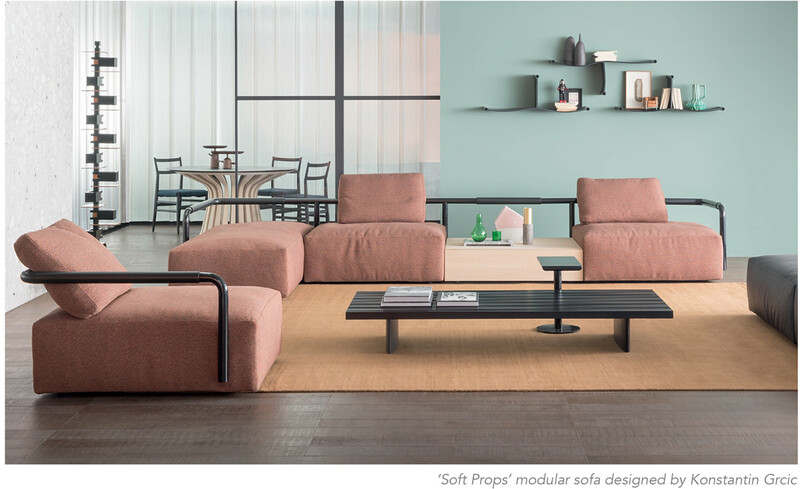 Konstantin Grcic’s ‘Soft Props’ modular system brings together simplicity, flexibility and interaction to create a contemporary scenario. Soft Props mutates depending on the user’s requirements. While the sofa continues to have an important function and central role in the home, it is also an element that can be used in public areas, creating an atmosphere where people can come together and communicate in a shared space. The blurred line between public and private therefore dissolves, leaving no clear separation. This year marks the first collaboration for Cassina and Ronan and Erwan Bouroullec. 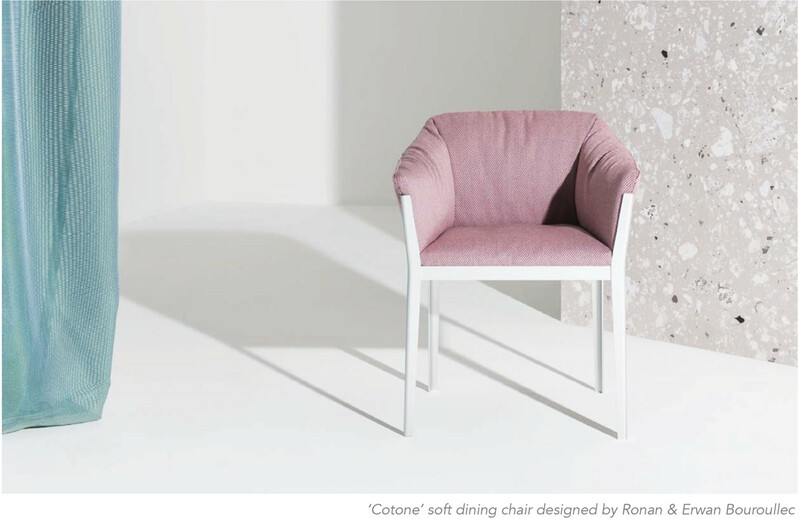 Their new product ‘Cotone’, is inspired by and rooted in the great Cassina classics based on the concept of an upholstered frame. Simplicity meets comfort in a welcoming dining chair. The strong contrast between its rigid aluminum structure and soft and welcoming down seat are immediately noted: its generous forms are an open invitation to relax. For more information about these new products email us at sales@arksf.com or give us a call 415.565.7200.